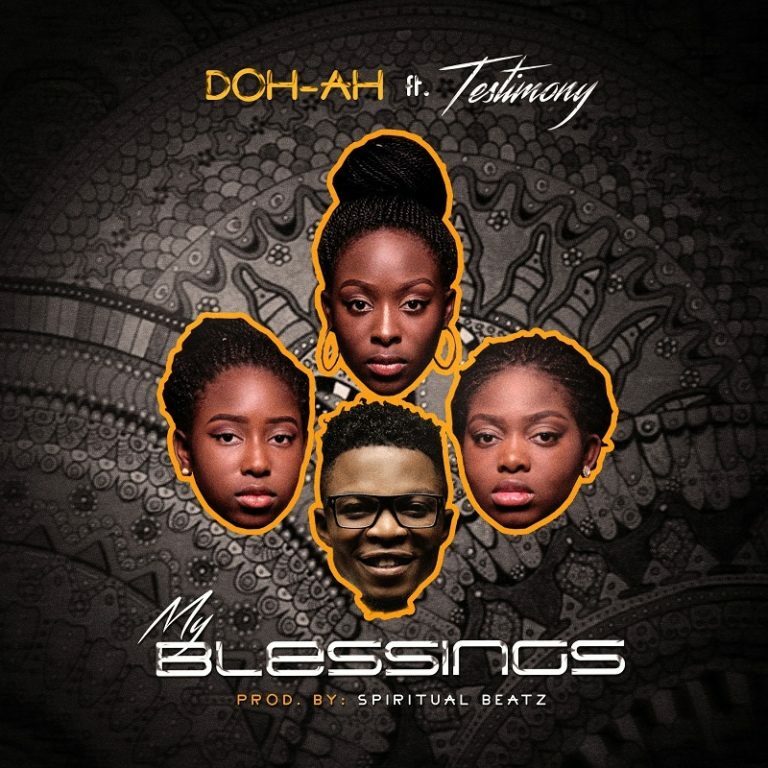 it's important to use something magnificent to end the year | Sisters music trio, Doh-Ah crowns the year 2018 with “My Blessings,” a brand new song featuring contemporary Fuji/Pop artist – Testimony aka Mr Jaga. The talented music group debuted with their first single “Celebration” in January, then went on to feature Christian rapper TB1 on their sophomore release “The Supernatural Realm“. In October, Doh-Ah dropped their first video, “The Constant” which garnered good reviews and acceptance for the three singers who are actual sisters. The Afrobeat track “My Blessings” produced by Kelly Lyon aka #Spiritualbeatz, is a song of prayer and faith.